Hoch Associates provided precast concrete engineering, erection drawings, and shop fabrication tickets for the Mercy West Hospital project. 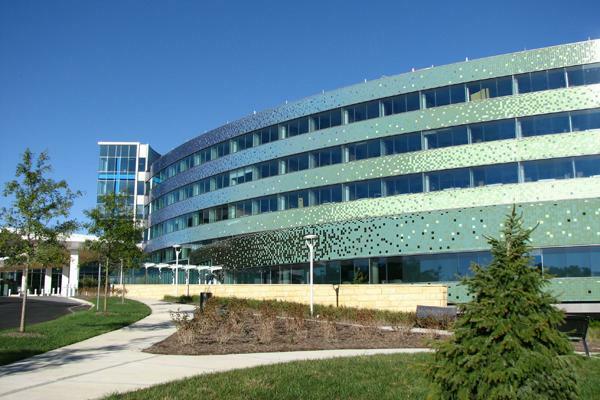 Over 500 precast panels were designed for this project using one of three radii to fit the project’s curved façades. 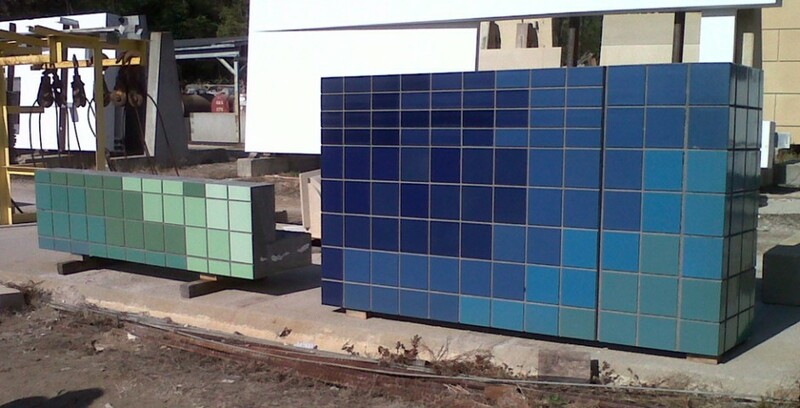 The façades consist of a spectrum shift from yellow to green to blue made up of 158,678 multi-colored 8”x8” ceramic tiles set within the precast panels. Hoch coordinated its engineering and design through the incorporation of Building Information Modeling (BIM) utilizing the technology to achieve the dramatic architectural design feature produced by the 8”x8” ceramic tile pixels that create the uniform color shift over nearly 300’ of continuous radius surfaces of the precast panels.